13 Thoughts when growing your eyebrows out. I naturally have super thick eyebrows, I’m talking monobrow. But I’ve groomed my brows since I was about 14….. Being 27 now shows I was once 100% victim to the pencil thin eyebrow trend, and skinny ‘fierce brows’. As time has passed since then and now fuller eyebrows are the ‘it’ thing I’ve been slowly growing them back. Now this hasn’t been a slow process due to my hair not growing, oh it grows. I just can’t handle the growing out part, it kills me to grow my eyebrows out so I’ve been doing it bit by bit and that seems to help. With a family event approaching very soon I’ve been trying to not give in and pluck as I want to get them threaded (just shaped a little). On my journey of growing them out I’ve experienced every emotion under the sun and through talking to friends and family, realised I’m not the only one who feels this. I can do this I really miss my old brows. I’ll be fine, make up will save me. Ooh these are looking fuller already. I could get used to not filling them in as much. Okay there are stray hairs but concealer will do the trick. Oh my god! Why is my re growth so visible. Maybe it’s in my head. I hope it’s in my head. I swear people are looking at my brows when they are talking to me. Eye brow contact is that a thing? No it’s not in my head, definitely not in my head people are starring! Maybe I need big glasses. 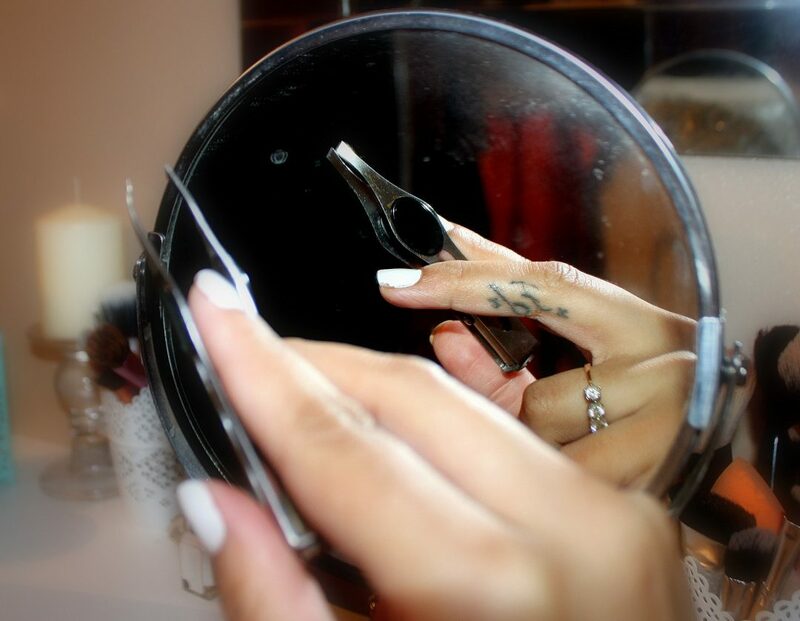 I need to hide my tweezers…. They are calling me. No no, I have to go out and this is not working….. Off with them. Growing your eyebrows out is hard! I’m still trying to find a way to work with the regrowth and not give in to temptation. Have you every grown your eyebrows out? Previous Post The Mom Complex.